Are you planning months or weeks in advance? Great! We believe you can’t start planning a vacation too early. When you give yourself more time, you can make sure you plan out the perfect trip and make those reservations in advance. We love a trip to Temple Square in Salt Lake City as much as the next person, but as you determine where you want to go and what you want to do, don’t limit yourself to the tourist-laden areas. Ask a local about favorite activities or parks. Find out what lies just beyond the city. You might be surprised by what you might find. Don’t automatically pay for the standard rate on rentals or attractions. See whether you can dig up a deal with online coupons, military discounts (if applicable), or even special offers. The more money you save on car rentals or restaurants, the further your vacation budget can go. 4. Nail down your big decisions. Part of the fun of vacation is not having every moment scheduled. However, we recommend that you not leave those “big decisions” for the last minute. Therefore, determine where you will stay and how you will get there in advance. Make that minivan reservation, and be sure to put a deposit on that condo rental. Get those decisions out of the way, and then you can leave the rest to chance and spontaneity. Wherever you go in Utah, get a feel for the local flavor. Opt for local restaurants and shopping over national chains. Seek out those hole-in-the-wall joints that residents frequent but that might not show up on a quick Internet search. That way, you get to experience the real Salt Lake City or Park City, instead of what might show up on a brochure. 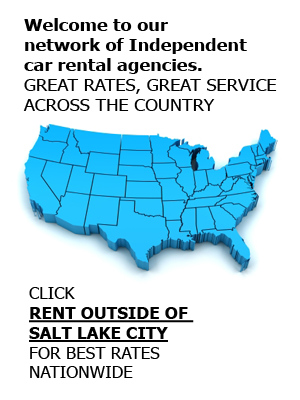 For local car rentals you can rely on, Affordable Rent-A-Car always has your back. We have friendly customer service and affordable cars, vans, and SUVs to fit your budget and your rental needs. To find out more about us or to make a reservation, contact us anytime at (801) 266-7368, or book online.